1. 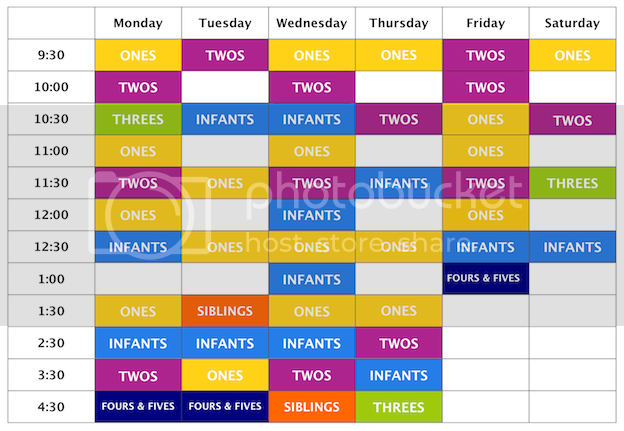 Pick an age-appropriate weekly class from the schedule above. 2. Choose whether you'd like to register for a full session or half session. 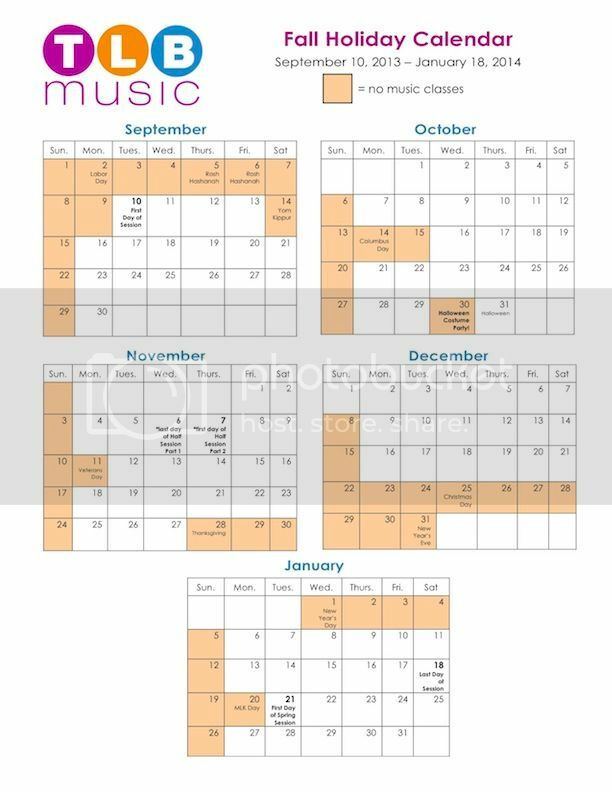 email (tlb@tlbmusic.com), or mail-in PDF form! Make-up Policy- We try to make scheduling as flexible as possible to accommodate napping/scheduling changes! We offer unlimited make-up classes within the session for which you register, so if you miss your class, you can make it up any other time your age group is offered! Please call or email in advance to schedule. 2 make-up classes may be carried over to the following session. 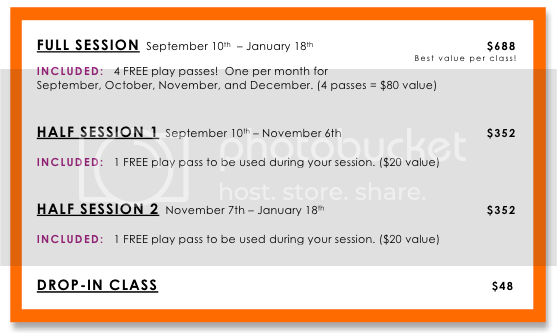 receive a discount in our Playroom. Click image for a large, printable PDF version of our Spring/Summer 2013 Holiday Calendar!